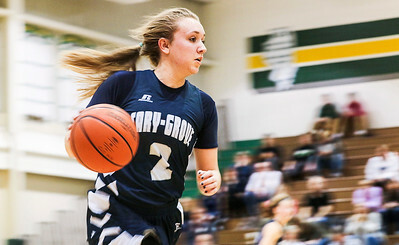 Kyle Grillot - kgrillot@shawmedia.com Cary-Grove's Kaitlyn Barker dribbles toward the net after a steal during the second quarter of the girls basketball game Saturday in Crystal Lake. 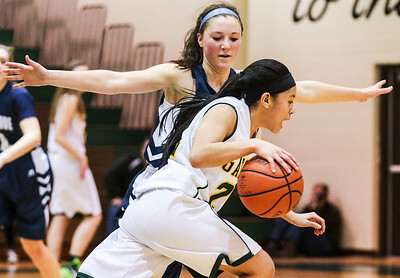 Crystal Lake South beat, Cary-Grove, 54-48. Kyle Grillot - kgrillot@shawmedia.com Crystal Lake South's Kianna Clark (left) puts up a shot defended by Cary-Grove's Madison Priester during the first quarter of the girls basketball game Saturday in Crystal Lake. 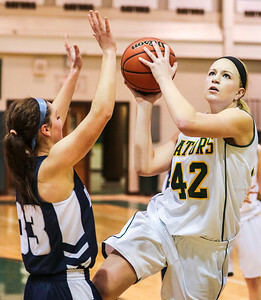 Crystal Lake South beat, Cary-Grove, 54-48. Kyle Grillot - kgrillot@shawmedia.com Crystal Lake South's Annika Sevcik (right) puts up a shot defended by Cary-Grove's Jennifer Pilut during the third quarter of the girls basketball game Saturday in Crystal Lake. Crystal Lake South beat, Cary-Grove, 54-48. 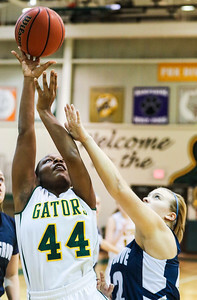 Kyle Grillot - kgrillot@shawmedia.com Cary-Grove's Kaitlyn Barker has her shot blocked by the Crystal Lake South Defense during the third quarter of the girls basketball game Saturday in Crystal Lake. Crystal Lake South beat, Cary-Grove, 54-48. Kyle Grillot - kgrillot@shawmedia.com Crystal Lake South's Gabrielle DeJesus dribbles the ball towards the net defended by Cary-Grove's Jennifer Pilut during the fourth quarter of the girls basketball game Saturday in Crystal Lake. Crystal Lake South beat, Cary-Grove, 54-48. 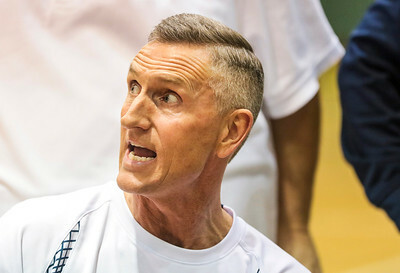 Kyle Grillot - kgrillot@shawmedia.com Cary-Grove's assistant coach talks with his players during a time out in during the third quarter of the girls basketball game Saturday in Crystal Lake. 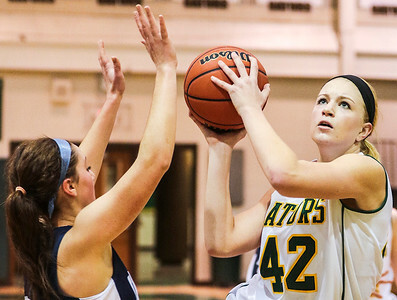 Crystal Lake South beat, Cary-Grove, 54-48. Kyle Grillot - kgrillot@shawmedia.com Crystal Lake South's Kianna Clark (left) is defended by Cary-Grove's Kaitlyn Barker during the first quarter of the girls basketball game Saturday in Crystal Lake. 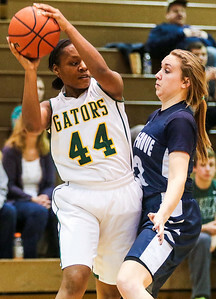 Crystal Lake South beat, Cary-Grove, 54-48. Kyle Grillot - kgrillot@shawmedia.com Crystal Lake South's Chanel Fanter (right) puts up a shot defended by Cary-Grove's Olivia Miller during the fourth quarter of the girls basketball game Saturday in Crystal Lake. 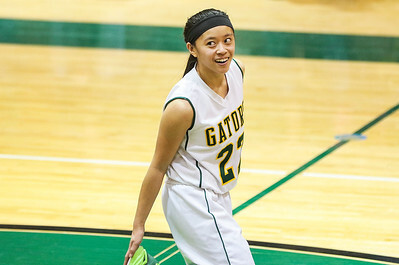 Crystal Lake South beat, Cary-Grove, 54-48. 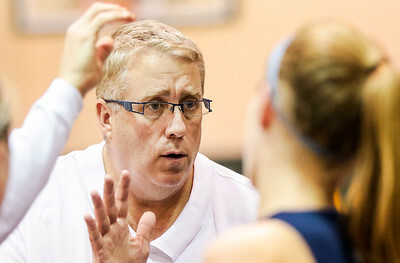 Kyle Grillot - kgrillot@shawmedia.com Cary-Grove's head coach Rod Saffert talks with his players during a time out in during the third quarter of the girls basketball game Saturday in Crystal Lake. 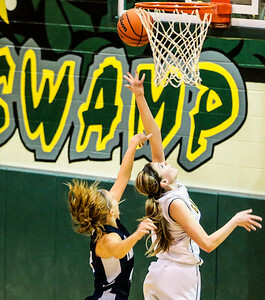 Crystal Lake South beat, Cary-Grove, 54-48. Kyle Grillot - kgrillot@shawmedia.com Crystal Lake South's Gabrielle DeJesus reacts as young fans cheer for her team during the fourth quarter of the girls basketball game Saturday in Crystal Lake. Crystal Lake South beat, Cary-Grove, 54-48. 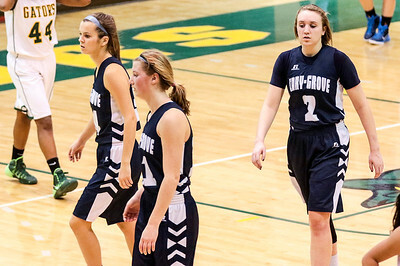 Kyle Grillot - kgrillot@shawmedia.com Cary-Grove's Chrissy Sopchyk (from left), Katie Sowa, and Kaitlyn Barker reacts after the end of the girls basketball game against Crystal Lake South Saturday in Crystal Lake. Crystal Lake South beat, Cary-Grove, 54-48. Crystal Lake South's Gabrielle DeJesus reacts as young fans cheer for her team during the fourth quarter of the girls basketball game Saturday in Crystal Lake. 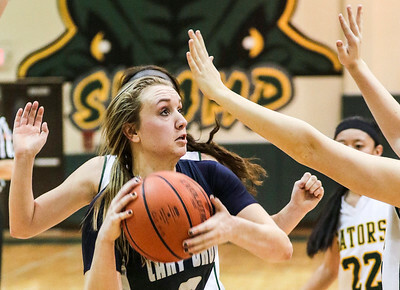 Crystal Lake South beat, Cary-Grove, 54-48.